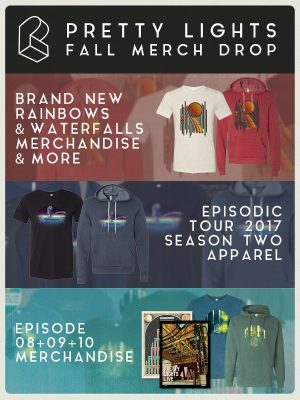 The PL online merch store has been updated with fresh goods: Rainbows & Waterfalls gear, new shirts, special sale prices on Episodic apparel, posters and more. 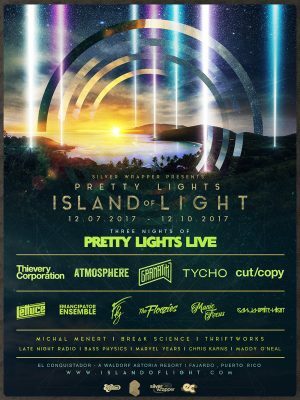 Please click here for the formal Island of Light cancellation announcement, information on refunds, and donation efforts to assist our friends in Puerto Rico. Our hearts and minds are with all of those who have been affected by these tragic events. 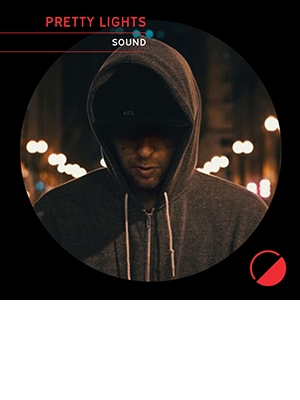 Pretty Lights will perform a solo set on December 16th at Day for Night in Houston, TX. 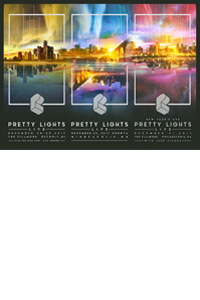 Pretty Lights Live will perform at Snowta on December 30th at the Minneapolis Convention Center in Minneapolis, MN. 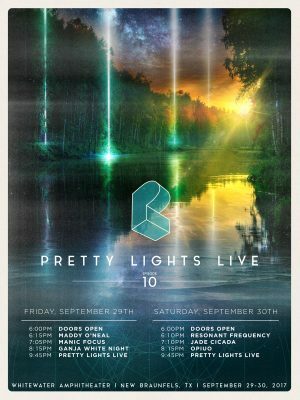 We will live stream the Pretty Lights Live sets from Whitewater Amphitheater this Friday and Saturday night at 9:45pm CT via Facebook Live and YouTube. We will continue our partnership with Direct Relief by providing a “donate” option during both live streams to contribute monetary donations to assist those affected by Hurricane Harvey. 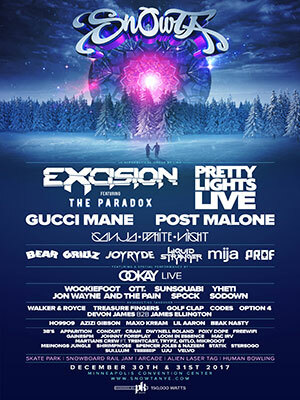 We have also partnered with PLUS 1 so that $1 from every ticket goes to support Direct Relief. Direct Relief works to provide rapid emergency relief, providing funding and emergency health kits to community health centers for those affected by the devastation of Hurricane Harvey.